It’s a total nutrition and health program, which promotes optimum health and well-being and includes a ground-breaking weight loss strategy for those who need to lose weight. Advice on “Getting the Right Mind Set” which includes positive thinking and advice on how to become and stay motivated. It is based on solid science, yet it is practical and easy to follow. 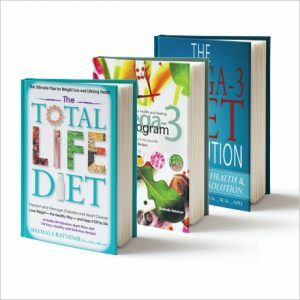 I have taken the principles of The Lyon Diet Heart Study, The GISSI Trial, The DASH Study, The Oslo Diet and Exercise Study and guidelines from The American Heart Association and adapted it to suit people living in today’s busy world. It has been tried and tested with hundreds of clients/patients. The results with clients have been extraordinary: Many have reverted from impaired fasting glycaemia or impaired glucose tolerance (pre-diabetes) back to normal, those with diabetes have achieved excellent control, virtually everyone lowers their LDL cholesterol and triglycerides, many have lowered their blood pressure, some have been able to cease anti-inflammatory medications, they have lost weight, have increased energy levels and very importantly, they feel so much better and happier. 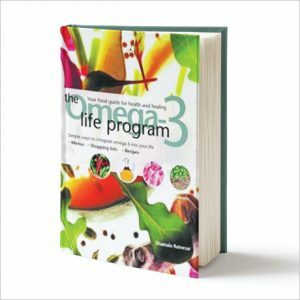 Another major difference between this program and all the other programs is the Omega-3 Factor. This is not just a weight loss program. It is a diet and lifestyle program for optimum health and happiness. 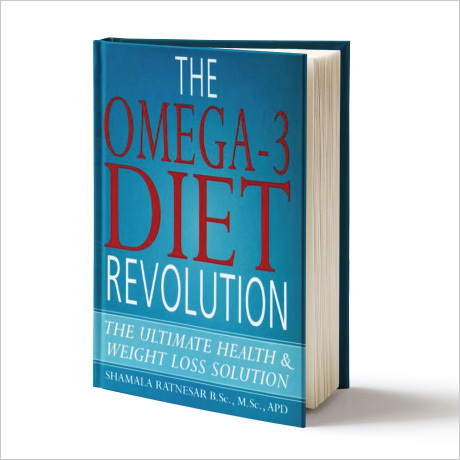 A person will gain all the wonderful omega-3 benefits whether they lose weight or not. It is practical and can fit in with our busy lives. It shows people how to live in today’s busy world and still stay healthy. There are important sections in the program such as how to read food labels when shopping in the supermarket and how to adapt recipes to be healthier. It tastes great. No matter how effective a diet or program, people will not follow it for the long term if it doesn’t taste good. The foods on my plan are delicious and include recipes that the whole family will enjoy. e.g. Fish with Mango Mayonnaise, Greek-Style Barbecue Prawns, Chicken with Apricots and Prunes, Grilled Chicken with Onion Sauce, Omega-3 Eggs prepared in many ways, Baked Mediterranean Vegetables, Apple and Cinnamon Muffins, Chocolate Cake and a divine Sponge Cake with Strawberries and Lite Crème! It has international appeal. 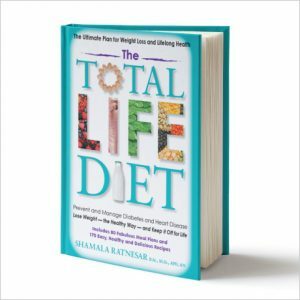 It includes both metric and imperial weights and measures in the sample meal plans and recipes – and throughout the book.